Standalone old MS Paint program that allows you to get your old XP Paint interface in Windows 7. One of the major user interface changes in Windows 7 is that the addition of ribbon interface to Paint program. The new ribbon interface is really handy to navigate between the options, but many old XP users are missing their favorite old interface. 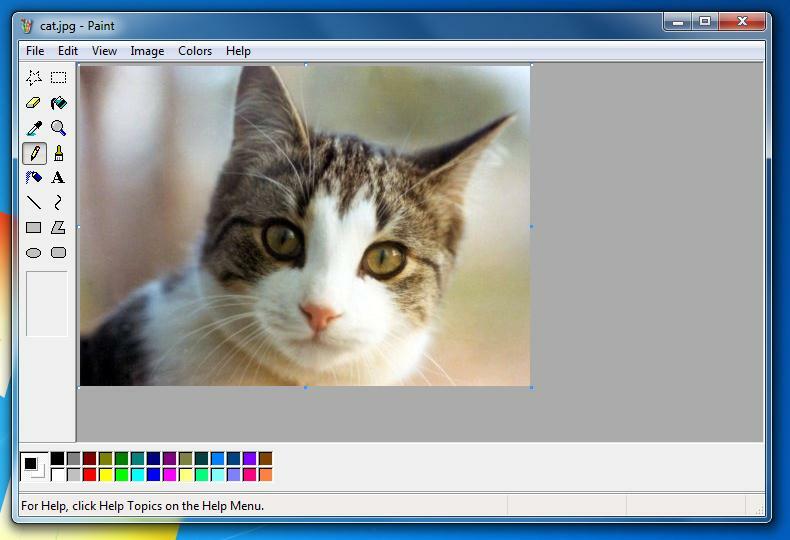 If you are also missing the good old simple user interface of the Paint program. ...... If you are also missing the good old simple user interface of the Paint program, then no need to worry anymore. Qweas is providing links to Paint XP 1.1 as a courtesy, and makes no representations regarding Paint XP or any other applications or any information related thereto. Any questions, complaints or claims regarding this application Paint XP 1.1 must be directed to the appropriate software vendor. You may click the publisher link of Paint XP on the top of this page to get more details about the vendor.